[tps_footer]For those of you who have lusted over the Latino singer Enrique Iglesias especially after ‘Bailamos’, we have bad news. 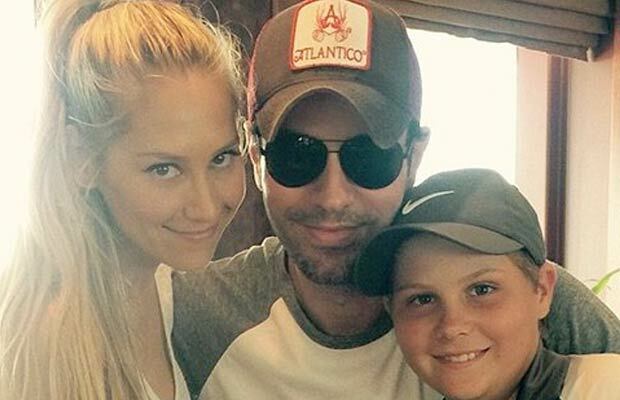 For the uninitiated, Enrique and Anna Kournikova have been together for 15 years! The two have reportedly been together since 2001 but have never been very vocal about the equation between them. The 35 year old Tennis star and 41 year old singer may have been dating for ages but they don’t have any pictures together. Well, recently Kournikova shared a picture of her alleged beau and brother on Instagram and captioned the image with adorable emojis. The rumors of the couple dating began after Anna starred in the music video for ‘Escape’. However, the two have been keeping a very low profile about their relationship and have neither confirmed nor denied the rumors. A few years back, Iglesias had said that he never thought about marriage as an institution that would change his life. He also added that since he came from a family where his parents were divorced, it did impact his personal opinion of marriage and relationships. Since it is no longer a taboo to have children without marriage, he didn’t see marriage as a huge deal or pre requisite to have children. According to him, as long as you were a good parent, it would be alright. Previous articleSIBLING GOALS! Sonam Kapoor’s Picture With Harshvardhan Is The Cutest Thing You’ll See Today! Next articleReally? This The Reason Why Twitter Rejected Bipasha Basu’s New Name Change Post Marriage?